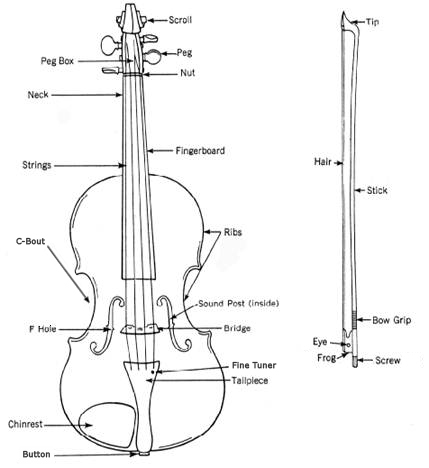 body of the violin with your left hand on the top. - First align your (left hand) thumb on the first piece of tape closest to the scroll. and not be sticking out. the hand is far enough back that the fingers can get over the tape. underneath the neck of the violin - IT SHOULD LOOK LIKE A "V"